Nothing Lasts But Nothing Is Lost was the 3rd incredible installation of the Shpongle epic released in 2005 on Twisted Records. It proved to be yet another masterclass in the psychedelic fusion of the worlds between musical genre and sonic geometry. The album famously features 20 tracks (which on vinyl appear as 8 separate tracks) designed so that every one flows seamlessly into another, continuously evolving like a musical hologram. Each new sonic world reflecting a psychedelic spectrum of the uniquely altered states of audio reality that Shpongle are renowned for. Heres a few pics of the EARLY test prints of the outer sleeve. As you can see this package is a totally new structure from the last two in the remastered series. 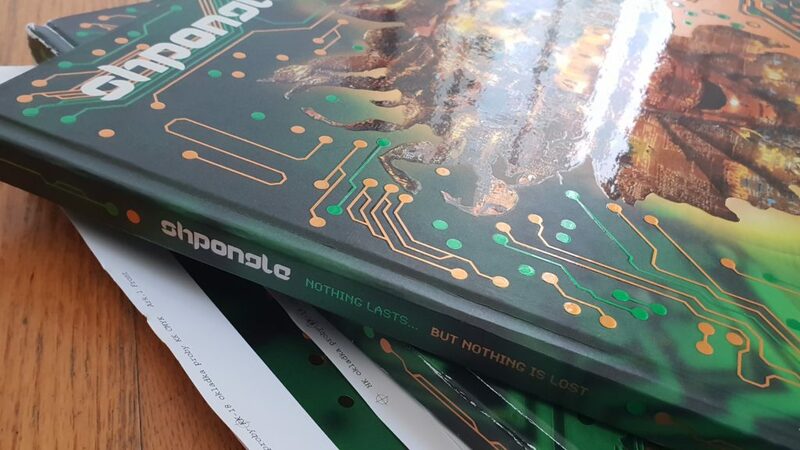 The fluoro green and embossing are still to be added to the cover, as well as all the inner panels, inner sleeves and many other magic touches. This should be available mid October. We will update via mailing list, social media etc nearer the time.